Before we start back from hiatus, challenge to you readers. I’m trying to create a food/drink quiz that revolves around two-digit numbers. If you can think of two-digit numbers that have a food or drink connection, please send them to my email cking.gow(at)gmail.com. The numbers should have a real tangible connection, like 57 is associated with Heinz, but not 92% is the amount of water in watermelon. Must be firm, so it’ll probably have something to do with brand names and restaurants, but hey, y’all are smart! Should have this quiz published by Friday. Thanks everyone! Y’all, LL75 starts back next Monday! 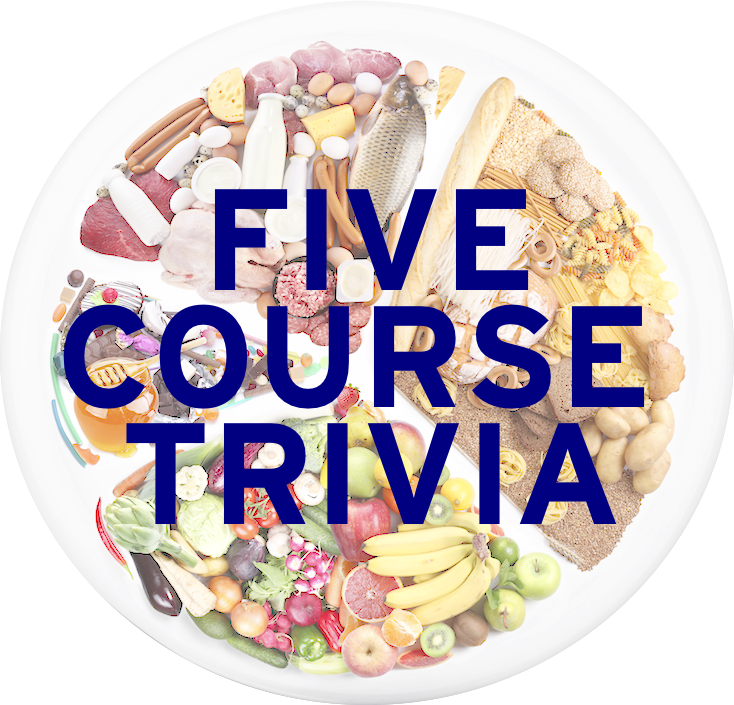 Five Course Trivia will be back once again to discuss all the latest in food and drink trivia, and I’m excited that the semester is finally in a place where I can get back at it. Today’s challenge is relatively straightforward. On every pint of Ben & Jerry’s ice cream, there is a very plain description of the ice cream itself. I’ll give you those descriptions, you name the ice cream flavor. Good luck!